The Airline Improvement District is dedicated to making our area a safer place to live and work. The District contracts with the Harris County Sheriff’s Office to provide enhanced patrol services in the AID area which helps deter crime and increase police visibility and response times. The deputies that are part of the District Contract spend their time proactively addressing potential issues as well as responding to calls within the District boundaries. 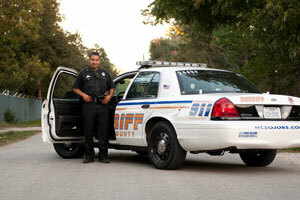 All contract Deputies are in marked Harris County Sheriff’s Department vehicles. Currently patrol services is the largest budgetary item for the District. You are encouraged to address any public safety concerns by calling the Harris County Sheriff’s Office at the numbers listed below.